To a career filled with prestigious honors, BSF Board of Governors member Dr. Howard (Haim) Cedar can now add another major award. In September, he became one of the recipients of Columbia University’s 2016 Louisa Gross Horwitz Prize. The Prize is Columbia University’s top honor for achievement in biological and biochemical research. Forty-three Horwitz Prize awardees have gone on to win Nobel Prizes. 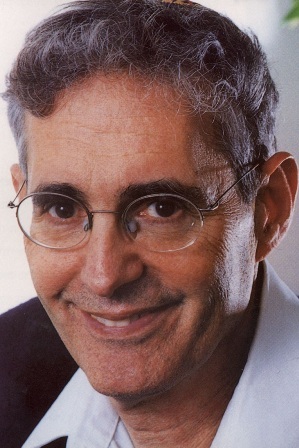 “This is an enormous honor, and considering all of those who have previously won the Horwitz Prize, I am very grateful to receive it,” said Cedar, who is an emeritus professor of molecular biology and the Edmond J. Safra Distinguished Professor (Emeritus) at the Hebrew University of Jerusalem’s Faculty of Medicine. He received his BSc from the Massachusetts Institute of Technology and his MD and PhD in medical science from New York University. He shares the honor with Aharon Razin, PhD, also of the Hebrew University, and Gary Felsenfeld, PhD, of the National Institutes of Health, for their fundamental work on how molecules can regulate the structure, behavior, and activity of DNA without modifying DNA’s genetic code. Their research, which has yielded key insights into how cells and embryos develop, led to the formation of the field of biology called epigenetics, and further study could lead to breakthroughs in cancer and diabetes treatment. The team has identified several key properties of an epigenetic process known as methylation, in which small chemical molecules, called methyl groups, are added to DNA. To help explain this, Cedar often compares DNA to a “booklet” with generic operating instructions. “The booklet is annotated, it is underlined, highlighted and things have been crossed out. This is called DNA methylation and is a form of regulation that determines when a gene is turned on or off. The annotation doesn’t change the text, it allows the DNA to understand the text better,” he said. When a gene methylates abnormally, it can generate cancer cells. If researchers can find a way to inhibit the abnormality, they could alleviate certain types of cancer. Methylation may also revolutionize the way diabetes is treated and may help understand the programming of stem cells. Throughout his career, Cedar has been a pioneer and a trailblazer. BSF recognized his promise early on in his career, providing him with several grants during the 1970s and 80s. These grants helped to propel Cedar’s partnership with Dr. Richard Axel, who went on to win the Nobel Prize, and who is now co-director of the Mortimer B. Zuckerman Mind Brain Behavior Institute at Columbia University. In addition to receiving grant funding, Cedar has also served as a panelist on committees that help decide which projects and partnerships receive BSF funding. 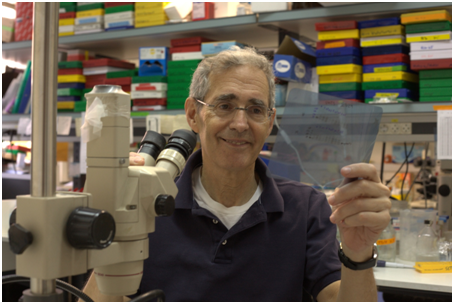 Cedar’s ground-breaking research has received prominent recognition including the Israel Prize and the Wolf Prize in Medicine, the Israeli version of the Nobel. In 2009, he received the highly-prestigious Emet Prize in Life Sciences. Yet for Cedar, the most rewarding gratification comes from mentoring young scientists. Through his involvement with BSF, he has met many of the best young scientists that Israel and the United States have to offer.